ItemA-09186 - Original Carr house, Victoria, BC. ItemE-09900 - Mrs. Richard Carr (nee Saunders). ItemE-06843 - Mrs. Richard Carr (nee Emily Saunders). ItemJ-01183 - Emily Carr's birth place. Her father's house on Govt Street, Victoria. 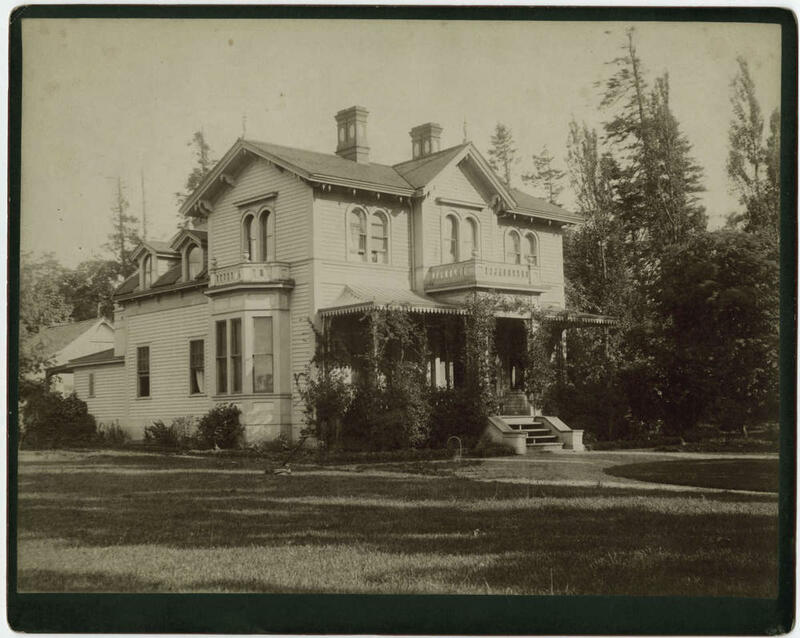 Item A-09186 - Original Carr house, Victoria, BC. Original Carr house, Victoria, BC. Source of title proper: Identification by Alice Carr on verso. Received by bequest from Carr to her literary executor and friend, Ira Dilworth. This sketchbook along with other sketchbooks, drawings, watercolours, textual materials and books was housed in Carr's old steamer trunk. When Dilworth died he bequeathed this material to his two adopted daughters (and nieces), Phylis Inglis and Edna Parnall who divided the material between themselves. This item is among the materials that came via descent from Carr to Phylis Inglis. The Inglis collection consists of Emily Carr art and papers purchased from Phylis Dilworth Inglis by the National Museums of Canada in 1976 and presented to the Provincial Archives of British Columbia in 1985. One mounted photograph of the Carr family residence. Received from the National Museums of Canada, 1985. MS-2181 comprises the textual and published material from 85-158, the accession number of the transfer from the National Museums of Canada. This image also exists in the National Photography Collection, Ottawa. The date used is based on information in Library and Archives Canada, copy number C-020364. Another copy may exist in the gen-file originals, but this has not been located.